Large fruits that are richly coloured and picked and eaten from September to November. The blossom has frost tolerance, and the upright tree is suitable for all areas, including the north, but resents high rainfall areas. East to grow. The flavour of the fruits is good, and the flesh is tender and very juicy. A heavy cropper, with resistance to Scab. 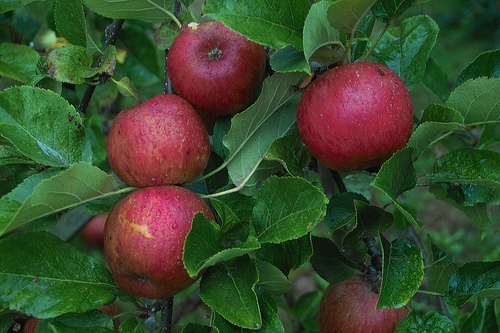 Pollinators include:Golden Delicious, Lord Derby, Tydeman's Late Orange, Greensleeves etc.